Fresh from BritMums Live, it's time for another Meet A Mum Monday post. Now, if you were there this weekend, you wouldn't have met today's lovely lady so I am pleased to be introducing you to her now as she is such a nice person and we regularly chat over the magic of the interweb. Hello! I am Francesca and I am from Glastonbury (Yes it is a town not just a festival site as I have been asked many times before!). I have always lived here and I hope to always be a country bumpkin! I have one beautiful little daughter: Molly Amaya. She is one year old and growing ever too quickly. As we always say, it's 'Mummy and Molly against the world'! In the future I would hope to have more children and I would love to adopt. Molly is at a great age right now where she has just learnt to walk and she is really trying to talk, however she is showing early signs of the terrible twos with lots of tantrums! I have always wanted to be a Mum coming from a big family, as I am one of four children, with lots of cousins too. I love this kind of connection. The thing that amazes me the most is when we are at family gatherings and I look at my Nan. She has four children, nearly 20 grandchildren and six great-children, and we all exist because of her! This inspires me to create my own family. My sister had her youngest five years ago now and watching her made me want a family of my own even more. This is a tough question because every day there is something new! One of my favourite things though is when Molly is playing, whether it be at home, outside, or even in the supermarket, and I bend down and hold my arms out and she runs over to me and gives me a hug. I can't explain it. I remember the first time she did it, in Tesco actually, and that feeling of pure love is just indescribable. There is nothing like knowing I am the one she wants to be with. I never planned to have Molly. I was still at University and living at home. People always told me how hard it was going to be, how I would miss my friends and going out, how hard being sleep deprived was and how I would be giving up any time to myself. I think people forgot to mention how amazing being a mum is! I obviously knew this but it would have been nice to hear people talk about it a bit more, rather than express their worries of me being pregnant, young, and at University. The other thing I wish people had said more about is the birth itself. Yes it is hard, yes it hurts! But a lot of people recommend you take all the drugs to be pain free. I made the decision that I didn't want this and I think people should have told me it is actually possible and it is worth it. I actually have three! Who said there is a limit to the number of changing bags you can have?! One is kept in the boot of my car as a spare, one is the bag I choose to take out and about with me, and the third is the bag I send to Molly's Dad when she is with him. They all have nappies, nappy bags, hand sanitiser and wet wipes in. My car bag also has a change of clothes for Molly. This means I don't carry a change of clothes in the bag I take with me if I am just popping out for an hour or two. This bag does however have snacks, drinks, a dummy, a bib, and a few toys in too. The bag I send to her Dad's house may as well have the kitchen sink in! I panick and pack it all! He gets all of the above including nappy cream, a sun hat, a winter hat, sun cream, a spare blanket, a coat, her comfort blanket, Barney, bottles, spare juice, all of her meals and snacks, more clothes, pyjamas, and anything else I can think of that she may need in 24 hours! A Jumperoo! This kept Molly busy for hours and made her legs really strong. I was at Uni at the time so it was good to know Molly was happy and safe whilst I studied. Teething granules. These are the best thing by far to numb those teething pains. I found them much better than gels. A video monitor - I knew I wouldn't be able to be in a different room as Molly without seeing her so a video monitor was perfect for me. It's good to be able to watch her and make sure the blankets are not too high or see if she settles back down if she starts to cry without trying to creep in the room. I am obsessed with checking it and tend to wake up all night to have a look at her, but it gives me such piece of mind. A support/feeding pillow - I had one of the long ones which you could lie on/rest your bump on or wrap around you to support baby, keep baby close and feed baby but I didn't get along with it. It was actually too big and I found it just got in the way and there was no space for it in the bed! I found a normal pillow worked just as well and was much more manageable. A bath seat - I think I used it once and found it useless. I had a baby bath and then when she got big enough I just used the normal bath. I wouldn't buy one again. A Bumbo - I bought one with a tray and I think Molly has spent about five minutes in it. She hated being in it and always tried to get herself out which made me worry it would tip and she would hurt herself. Tommee Tppee is my favourite. It's a traditional brand that everyone knows well and I trust. I use most of their products and know I can rely on them. Ella's Kitchen is my favourite baby food brand and I find the fruit pouches really useful to take out with me. Molly used these when she was first weaning and now she has them as a healthy snack. I rely on Fisher Price for other baby items like Molly's bouncy chair. I love their wide range of products. For all of Molly's toiletries I use Johnson's, and mainly because I just love the smell of their baby shampoo! For any thing else I need, such as nappies or wipes, I use a supermarket own brand, I find these just as good. I have recently started work. I only work part time because I knew I wouldn't be able to work full time with Molly. It would upset me too much and I wouldn't want to let a company down that had invested in me so I started my work journey with less hours so me and Molly can get used to it. I plan to increase my hours as she grows up and goes to Nursery. Luckily I have my Mum for childcare so I know Molly is safe and happy. In the mornings she is grumpy though as she knows I am going and that makes it really hard to walk out of the door, but once I am gone I think she is okay and it is me with the greatest speration anxiety. I go to see her on every one of my lunch breaks just for half an hour together. I can never wait to finish my hours and just get to be with my baby enough. I do not think there is enough focus on how hard it is emotionally to go back to work with a child. My hat is off to those who work full time with a young baby. I love knowing that no matter what happens in my life now, I will always have someone by my side and pushing me to do better. Molly completes me. I don't worry about the things I used to like getting married any more, I have Molly and that's all I need. You really don't know love until you are a parent! I used a Supernanny technique to get Molly to sleep at night and it was amazing and has worked ever since, even through moving house. This gives me 'me' time each evening. Albeit most nights are spent doing chores but I quite like pottering around the house on my own. If there is something in particular I want to do one night or I am planning on truly chilling out, then I get Molly to help me to the chores in the day so I have some time free. I live my life by lists as my memory part of 'baby brain' never quite returned to normal, so when Molly naps during the day I can get a few things done. This gives me and Molly more 'us' time, makes me less stressed, and enables me to have my own time too. My blog is just over a year old now over at Addingup2bemum. Go check it out and let me know what you think! Being at Uniersity with a newborn meant I had little time to speak to my friends and I struggled to attend baby classes. I had read some really cool baby blogs and thought starting my own would be a really good solution and give me the chance to share my worries and speak to other mums. I use Twitter and Facebook to reach out too. Come say hello! I love being able to record my life in a way I can share with my family and friends, and its something that will remain forever and Molly can look back on. It makes you reflect on the time you spend with your child and reminds you to take photographs. I also love the support you get from other bloggers, its such a huge community. I don't think I am an overly crazy person! I like to write lists and think everything through logically. A silly fact about me though is that I absolutely HATE plasters! I will do anything to not have one on me and I dread the day when Molly needs one. If I HAVE to have one I will leave it on until it falls off all by itself, otherwise I will be crying like a baby at the attempt of removing it! Thank you so much Francesca - it's been great getting to know you better. I too have more than one changing bag so there's absolutely nothing wrong with that plus I completely agree that people need to talk more about birth, being a mum etc. and focus more on the positives too. 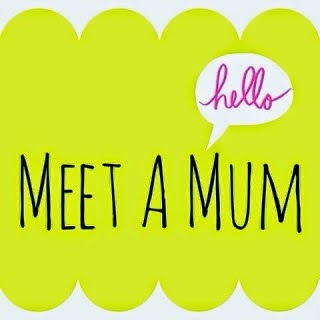 If you'd like to be featured as a Meet A Mum guest blogger, I have some openings in a couple of weeks so just email me at tobecomemum@gmail.com.